Kuala Lumpur (VNA) - The fate of the East Coast Rail Link (ECRL) is close to being finalised with just some minor details to be sorted out in negotiations between Malaysia and China. Tun Daim Zainuddin, who will lead a delegation from Malaysia to China to mend ties with the world’s second largest economy and Malaysia’s largest trading partner, said the team from China has been working with Malaysian officials for some time on the project and all that is left are some small issues to be ironed out. Daim said he has been in touch with the relevant parties in China and both countries have reached a decision to finalise the agreement. 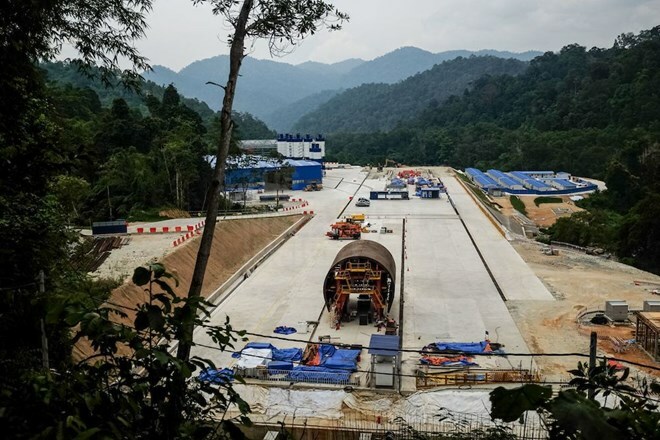 The ECRL project has been halted since July 3, 2018. The 688km rail link, if built, will connect Port Klang in Selangor with Pengkalan Kubor in Kelantan, and will be constructed in two phases. Daim will brief Prime Minister Tun Dr Mahathir Mohamad of the developments over the ECRL and will head to China next month. It is an important trip so that any past friction between both countries could be smoothened out given the long historical ties both countries have shared.